Some time ago I was invited to be one of the artists in the project “FauxMood x Artist”, launched by FauxMood, an ongoing campaign started by a group of friends to demonstrate that cruelty-free lifestyle and fashion are not mutually exclusive. As I am myself an owner of probably the most fluffy dog in the whole world, obviously I couldn’t give it the go-by. 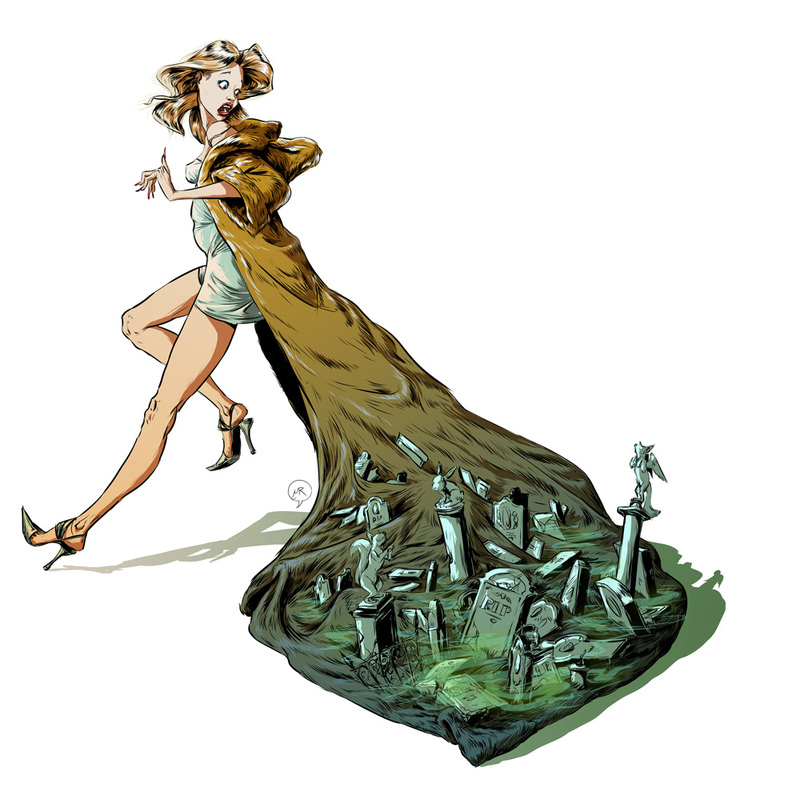 For my collaboration with FauxMood, I depicted a woman who is shocked by the realisation and weight of her decision to wear a fur coat, which drags along heavily behind her as the gravestones and aura of death cling to train.